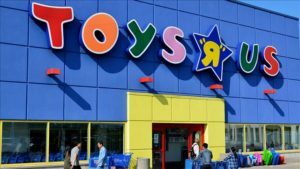 Top lenders of Toys ‘R’ Us have decided to cancel the bankruptcy auction of its brand name and other intellectual property assets and instead plan to revive the Toys ‘R’ Us and Babies ‘R’ Us brand names, a court filing showed. The lenders plan to open a new Toys ‘R’ Us and Babies ‘R’ Us branding company, invest and develop new retail shops, expand its international presence and further develop its private brands business. This decision comes in the wake of the Chapter 11 bankruptcy filed by the company late last year. Under the intellectual property auction originally agreed upon as part of the bankruptcy, the company had planned to sell its assets, including the brand names of Toys ‘R’ Us, Babies ‘R’ Us, registry lists, website domains, Geoffrey the Giraffe, among other assets.